Over the last few months we have been working extremely hard to develop all of our Live Streaming Webcam Services in particular, those on our MyLiveStreams.com website. This has included a complete make over for the site and the successful addition of a Live Streaming Webcam Section. This new Section has proved to be an extremely popular area of the site and has added a new dimension to the popular Live Streaming Webcam Portal. With Cameras like the Live Streaming Penguin Webcam, Live Streaming River Thames and the popular Live Streaming Stock Car Racing and Football Stadium Webcam, our Live Streaming Webcam Section is already beginning to gather quite an impressive collection of Live Real Time Cams. One of the latest Webcams to be added to our Live Streaming Webcam Section is the very popular Live Streaming Penguin Cam from Edinburgh Zoo in Scotland. This fantastic Webcam looks onto Europe’s largest Outdoor Penguin Pool and shows some great views of the Penguins in their newly built habitat. Watch the Penguins swim and play in their new Outdoor Pool in Edinburgh Zoo Live on Cam with the fantastic Live Streaming Penguin Webcam. Only in the new Live Streaming Webcam Section on MyLiveStreams.com. MyLiveStreams is also proud to announce that we have now got one of the best Live Streaming Sports Webcams on the internet with our new Live Streaming Stock Car Race Track and Football Stadium Webcam in Cowdenbeath, Fife, Scotland. Check out the latest Live Streaming Views of this famous Scottish First Division Football Ground, find out the latest weather conditions in Cowdenbeath and check the status of the football pitch before match days with this great Live Streaming Pan, Tilt, Zoom Webcam in Central Park Football Ground. What makes this Live Streaming Sports Webcam even more impressive is that every Saturday night you can now watch Live Stock Car racing around the famous Race Wall Track which runs round the Football Pitch! 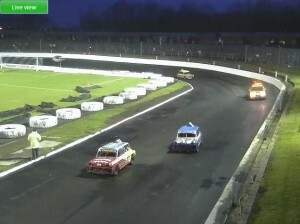 Watch all the Live high octane action from one of Britain’s most famous Stock Car Racing Tracks in Cowdenbeath, Fife, Scotland with this Live Streaming Stock Car Racing Race Wall Webcam! Check out all the racing action, the bumps and the crashes Live on Webcam with this Live Streaming Stock Car Racing Webcam LIVE from Cwdenbeath. With a brand new Website layout and a brand new Streaming Webcam Section, the MyLiveStreams re-vamp is well on it’s way and with plenty of more exciting new features still to come it is certainly an exciting time to be working on this great project and will be even more exciting for anyone who enjoys the world of Live Streaming Webcams. If there is anyone who has a Webcam that they would like to see featured in the Live Streaming Webcam Section on MyLiveStreams then contact us with your details and we will feature as many cameras as we can on the ever growing Live Streaming Webcam Section. Watch this space for more news to come on our new Streaming and Hosting Packages and some really exciting new on a Live Streaming Webcam Mobile Phone App.